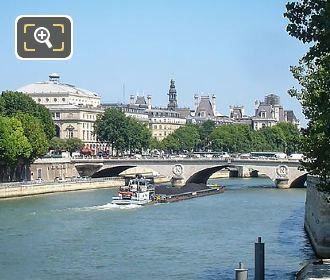 When visiting the 1st Arrondissement in Paris we took these HD photographs of the Pont au Change, which crosses over the River Seine from Quai de la Megisserie to Quai de l’Horloge on the Ile de la Cite right next to the Conciergerie, and even through there has been a stone bridge at this point of the river since 872AD, the bridge you can see today was not constructed until the 1800s by the French Engineers Paul-Martin Gallocher de Lagalisserie and Paul Vaudrey. 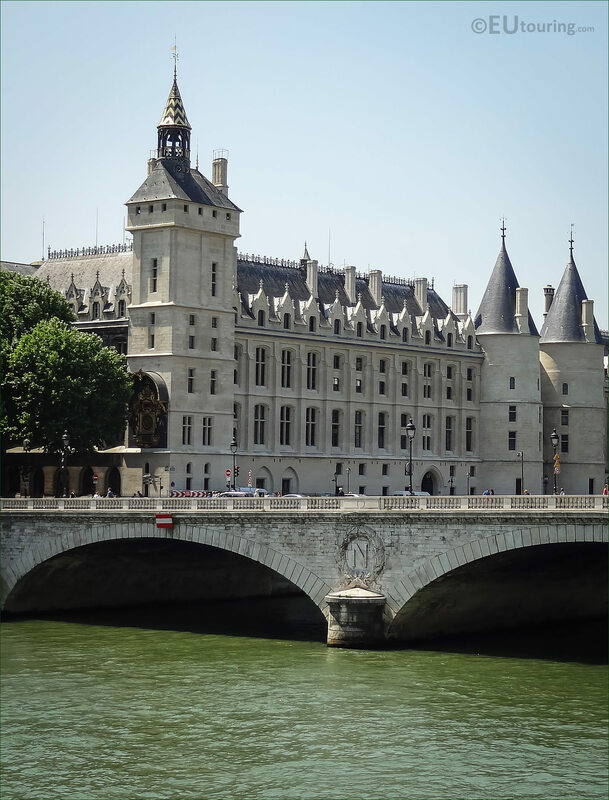 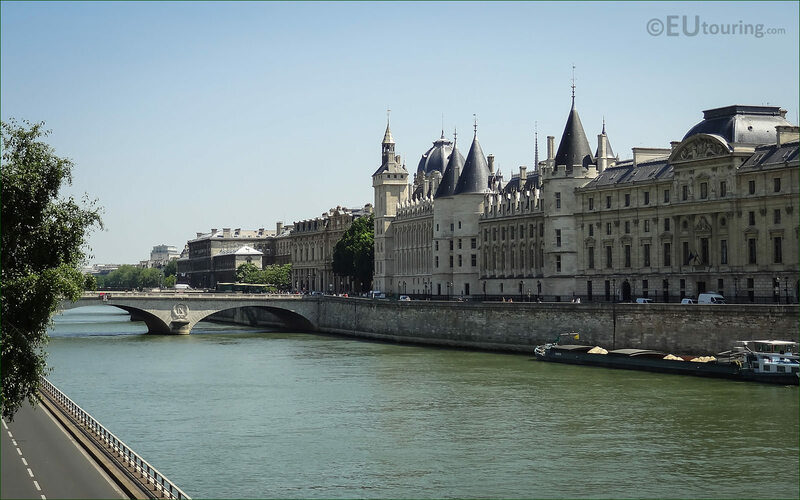 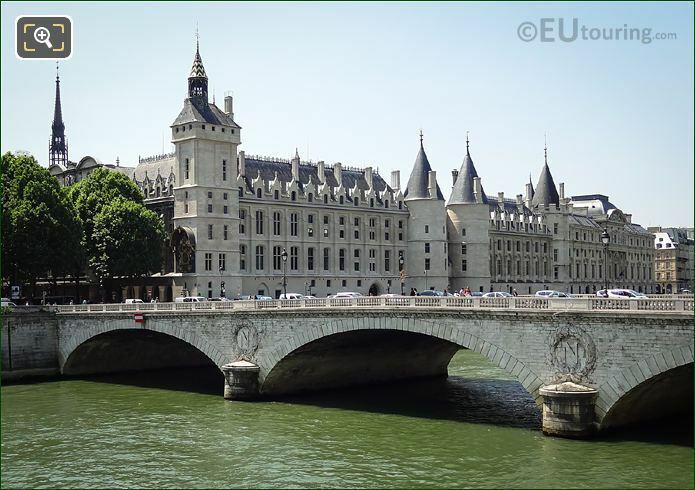 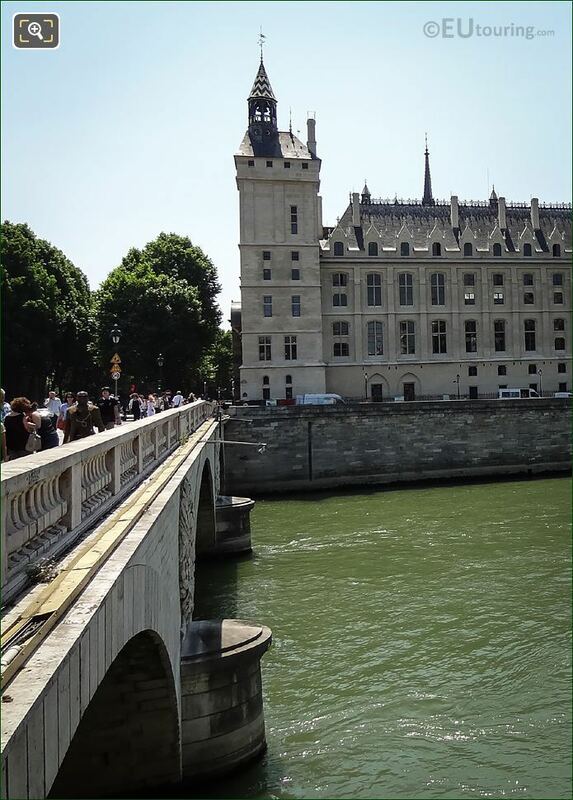 This particular photo was taken looking over the Pont au Change towards the Greffe du Tribunal de commerce de Paris, building to the left, and the clock tower of La Conciergerie to the right, and both of these are located next to this bridge on the Ile de la Cite island in the River Seine. 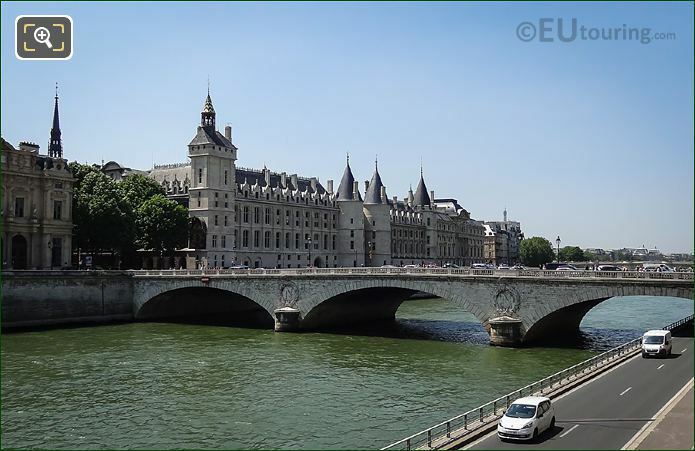 Designed by the French Engineers Paul-Martin Gallocher de Lagalisserie and Paul Vaudrey, the Pont au Change that you can see in this photo goes from the Quai de la Megisserie over the expressway on the right bank then over the River Seine to the Quai de l'Horloge on the Ile de la Cite island, that you can see to the right of the image. 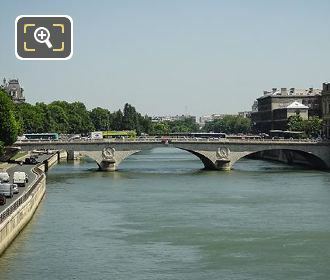 There was an original bridge constructed on the same site as the one you can see in this image, and this kept its original name of the Pont au Change from way back in 1639 during the reign of King Louis XIII, yet the original was destroyed in the 1800s when major changes were taking place in Paris and was replaced with this. The Pont au Change has now been classified as one of the historical monuments in Paris, and as you can see from this photograph, it is a major crossing point for pedestrians and tourists crossing over the River Seine to and from the Ile de la Cite island. 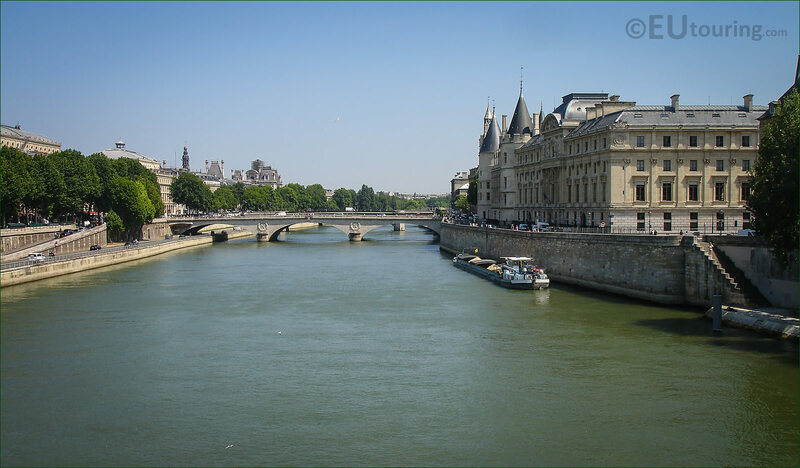 This time we were looking upstream of the River Seine towards the Pont au Change, and you can see that this bridge connects the Conciergerie, which is to the right of the image and was the prison where Marie Anotoinette was held, and then goes over to the Right Bank and the Theatre du Chatelet, which is behind the trees on the left of this photo. 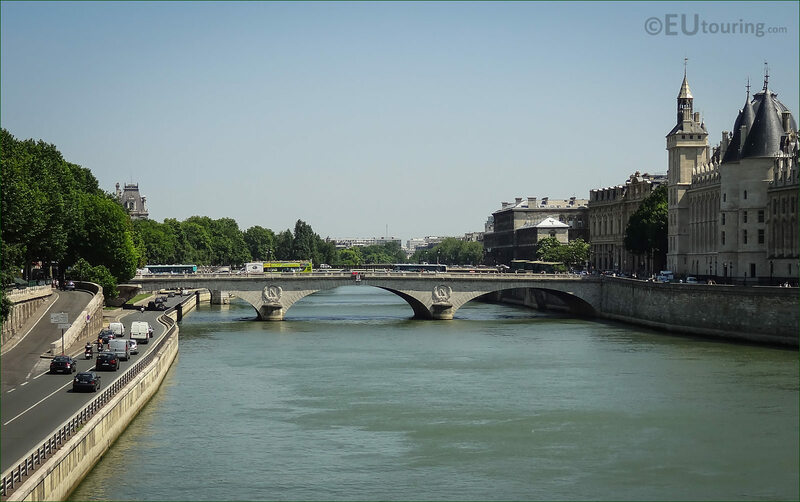 While standing on the Quai des Gesvres, we took this HD photo of the Pont au Change with its three elliptical arches, one of which goes over the Voie Georges Pompidou road that you can also see, and if you look carefully on the tympana above the piers and abutments, you will see the Imperial emblems on the bridge. 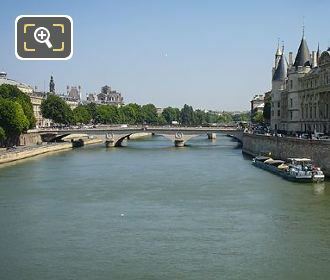 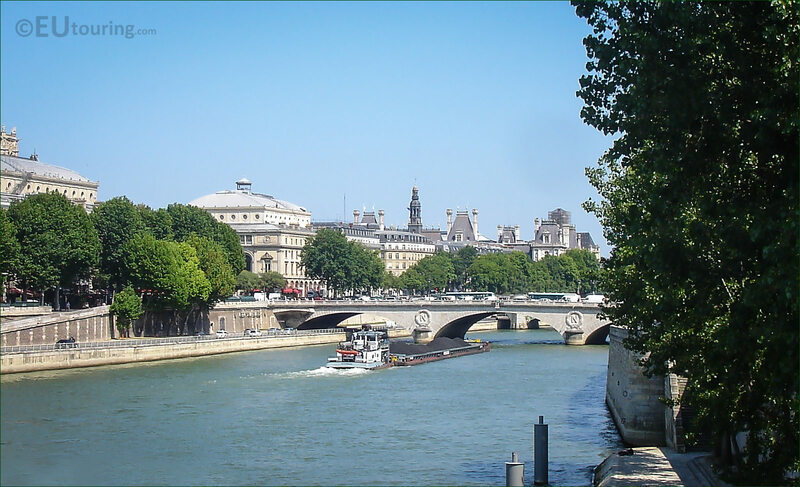 This time we were standing on the right bank of the River Seine along Quai de la Megisserie, and this photo is looking upstream towards the Pont au Change with Quai de l'Horloge to the right of the image, and to give you an idea, behind us, the next bridge would be the famous Pont Neuf. 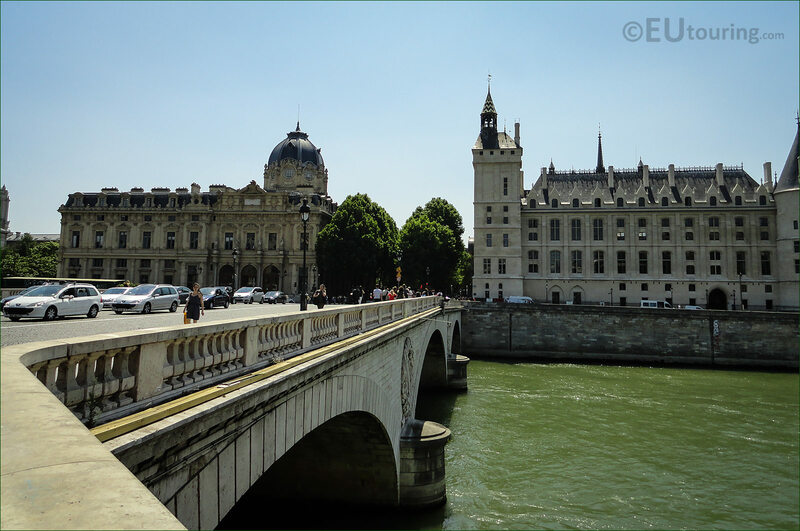 Looking towards La Conciergerie and the historical clock tower, you can also see the a part of the Pont au Change, which was constructed between the years 1858 and 1860 during the reign of Napoleon III, which is why you can see the imperial insignia with the letter N in between the arches. While we were standing on the Quai de l'Horloge next to the Pont Neuf, we took this photo looking towards the Pont au Change connecting to Quai de la Megisserie and Quai de Gesvres, to the left of the image, and in the distance you can see a part of the impressive Hotel de Ville, which is the Paris City Hall.